The current era of healthcare is going through a steady evolutionary progress and so is the childcare sector. 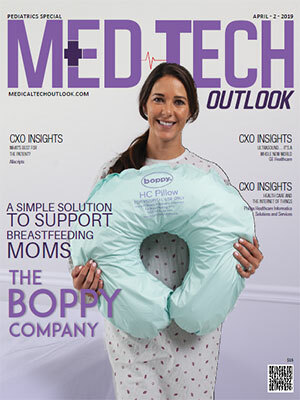 As innovative technologies storm the industry, it is causing a plethora of changes specifically in the pediatric sector. Focused on offering care for the most foundational period of life, complete integrated pediatric health records are bringing together information that spans across multiple venues, clinicians, and the different stages from infancy to adolescence to arrive at the best solutions possible. Designed to aid physicians, pediatric-specific EHR software are providing personalized supervision and diagnostics for treatment of pediatric patients. Newborn care solutions are coming into the market to address the critical areas of assessment and treatment of infants to provide protection in the crucial minutes and hours after delivery until their discharge from the hospital. The development and application of cutting-edge informational and computational technologies which includes IoT, AI and predictive analysis, has led to the early diagnosis of critical diseases improving the quality of healthcare in the neonatal side. In addition, solutions that are anatomically appropriate for children with various conditions are being developed to improve medical care. In the light of these disruptive solutions, our distinguished editorial board strives to help CTOs, CIOs and CEOs in finding the right pediatric solutions provider tailored to their specific requirements. 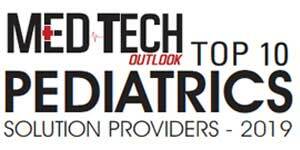 This edition of MedTech Outlook highlights the “Top 10 Pediatrics Solution Providers - 2019” and aims to give readers an insight into the exemplary pediatrics solution providers that have exhibited their proficiency with their state-of-the-art solutions that address the major challenges in the pediatrics healthcare sector.